Browse > Home / Uncategorised / Mar-18 Sydney: Is an Iran-Israel War Inevitable? 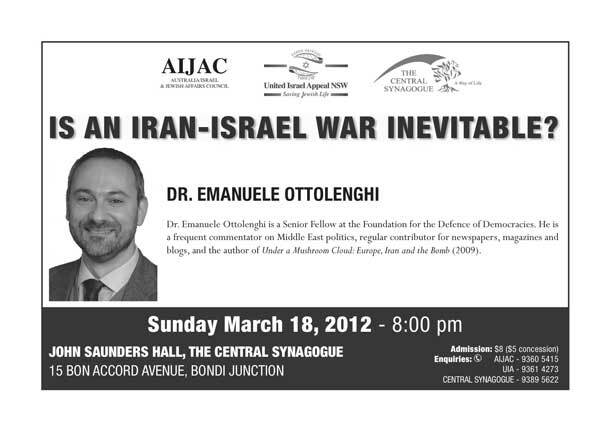 Mar-18 Sydney: Is an Iran-Israel War Inevitable? World-renowned commentator Emanuele Ottolenghi will speak on this topic at a meeting hosted by The Australia/Israel and Jewish Affairs Council [AIJAC], the United Israel Appeal and The Central Synagogue.